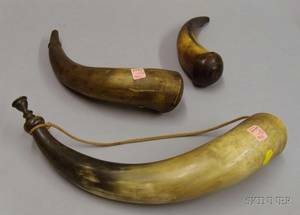 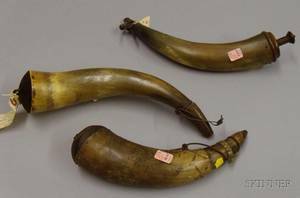 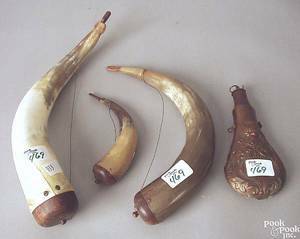 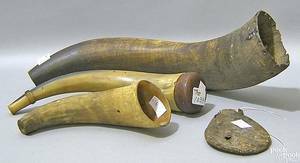 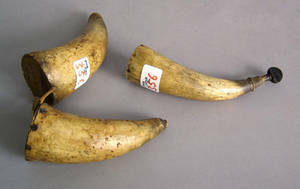 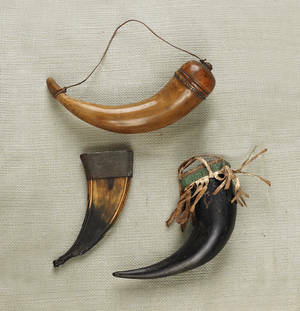 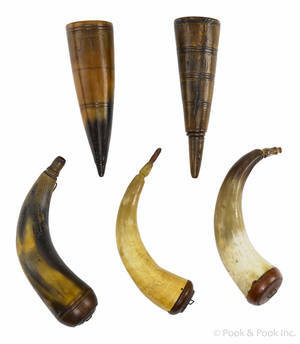 Three powder horns, 19th c. , one with decoration of horse and figures, 8" l.
Three powder horns and a leather powder bag. 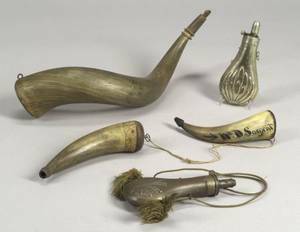 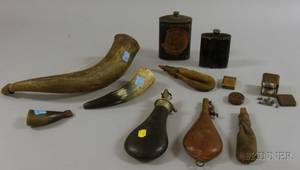 Three Powder Horns Six Leather and Tin Shot Flasks and Three Small Metal Shot Boxes. 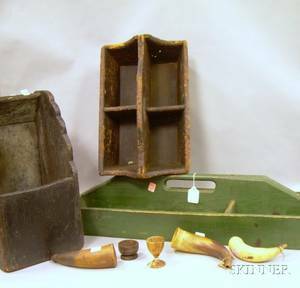 Wooden Wall Box Two Divided Carriers a Turned Wooden Egg Cup and Salt and Three Powder Horns.